Whilst camping within a dedicated campground, you will be able to use their power source. However, without the use of a RV surge protector or EMS system, the electrical appliances may be subject to a surge of power from campgrounds power. The best RV surge protector is the Progressive Industries Smart Surge Protector, which is available in a range of sizes and 30 amp or 50 amp variations. Using a surge protector for a RV is fairly easy. Simply connect the surge protector into the power adapter/pedestal at the campground and then connect your electrical cord to the surge protector. You will then be safe from an electrical surge. Many RV surge protectors and Electrical Management Systems (EMS) have various modes that prevent damage to your electrical appliances. From Open Ground, Open Neutral, Reverse Polarity Detection, Miss wired Pedestal Indication, low voltage and much more. These can be easily set using the buttons and LED indicators. Installing the best RV surge protector is a must and something that will be used often, so its worth spending the little extra. There is a large amount of variation and if you have many electrical appliances on board, we recommend going for a 50 amp surge protector over the smaller 30 amp alternative. Below is a list of the best RV surge protectors that ensure all electrical appliances inside your RV are safe from surges of power. The Progressive Industries RV Surge Protector is one of the best options for protecting your electrical system. This surge protector is very durable, so it’s good for RV life and its also very easy to maintain. Progressive Industries are known for very durable products that effectively protect your RV. It is particularly helpful to have this surge protector if you are using a power source outside of your RV, such as a common campground power source. While it doesn’t provide protection from all types of electrical threats, it does detect them, so you can quickly shut off your devices and prevent damage. The SSP30X model is one of the best RV surge protector that Progressive Industries produce and well worth the investment. The Technology Research Surge Guard protector is another good choice if you need to protect your RV from power surges and electrical damage. It’s easy to set up and maintain, and the surge guard gives you an accurate read of how much electricity you’re using, so you can be more mindful of your consumption while in your RV. This intelligent surge protector is an ideal choice for the energy-conscious RV owner. It’s important to note, however, that it is somewhat heavy, so getting it in place in the RV can be a bit of a challenge at first. Overall, however, the Technology Research Surge Guard is a good investment for your RV. The Progressive Industries Portable Electrical Management System is another durable and efficient product from this brand. This surge protector gives you complete control over your electricity usage and keeps your system safe. This heavy duty surge protector is an essential for any RV owner with many electrical devices on board. No matter where you’re camping or what power source you’re using, the Progressive Industries HW30C protects you against surges, damage and keeps you informed of your electrical usage. The Camco Heavy Duty Dogbone is a small but effective RV surge protector that you can use to analyze the state of your RV’s electrical functions. It’s relatively affordable and is a good easy choice when you need a surge protector for your RV. Overall, the Camco Dogbone RV Circuit Analyzer is an easy choice for RV owners. It’s affordable and provides solid surge protection levels for your travels. It also helps you identify potential problems before they happen to ensure you stay safe on the road and whilst camping. The Camco Power Defender is a more powerful surge protection option from the Camco brand. It’s ideal for complex RV systems that need sophisticated electrical diagnostics and surge protection. This high quality surge protector is a good option if you need a 50 amp surge protector. It protects against very strong levels of unstable power that can be dangerous for your vehicle and your devices. There are many things you should keep in mind when shopping for an RV surge protector. Since RV surge protectors are a technical tool, it can be difficult to determine whether or not the surge protector you are looking at is a quality tool. Knowing some of the key metrics to look at when shopping for a surge protector will ensure that you are spending your money on a quality product. It’s important to have a surge protector when you’re on the go and using different sources of power while you’re camping and traveling, because unstable power sources can damage your electronics. Here’s what you should look for when shopping for an RV surge protector. The first and most important thing to consider when shopping for a surge protector is the level of protection it provides. The amount of electricity it protects against is measured in joules, and the more joules the device protects against, the safer your RV will be in a surge. If you have more electronic devices, you will need a higher level of surge protection in case of an electronic emergency. There are a variety of different electrical problems that can cause power surges. Surge protectors for RVs vary widely in what types of electrical issues they can address and how they address it. For example, some devices will provide complete protection against a wide variety of electrical issues, while others will only provide limited protection, but can detect and warn you of different electrical issues in your power system. 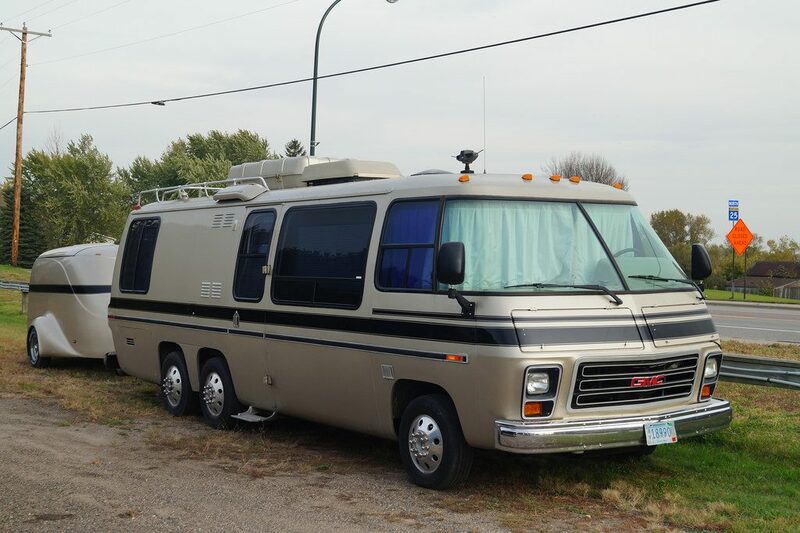 When shopping for an RV surge protector, you’ll need to determine whether you need a 30 amp RV surge protector or a 50 amp RV surge protector, depending on your electrical setup in your RV. Many surge protector models come in both a 30 or 50 amp option, so you can choose the one that best fits your needs. Before shopping, you will need to look up which type you need to prevent electrical damage or malfunction. One of the best ways to ensure that you will stay safe in your RV is with a surge protector that automatically shuts off your electronics when it detects a power surge or other electrical issue. It’s also very helpful if the surge protector will restart your electronics when the threat has passed. This takes the responsibility off of you to have to manually shut off your electronics should an emergency happen. The size of your surge protector may be another helpful thing to look at when doing your shopping. When living in an RV, you have limited space, so it’s helpful to shop for items that are space efficient. Some RV surge protectors are also quite heavy, which can make them difficult to install and move around. A smaller surge protector may be more convenient, particularly if you don’t need too much power. If you’re purchasing a heavy surge protector, look for a pull handle to help you transport it more easily. Unlike the standard whole house surge protector that you would find in the majority of houses, the RV alternative is more portable in order to be used within campgrounds. When camping, many people will use a RV generator as a source of power and many people wonder whether a RV surge protector is required. It’s always best to be over-protected than under-protected and if you already have one, then you may as well. However, not all generators will run correctly whilst using a RV surge protector as they use an “open ground” system. As long as the generator is healthy and fully functioning, you should be fine without one. While you’re out on the road, you are likely to encounter changing weather conditions, particularly if you like to camp. There are times when you may need to install your surge protector outdoors, or when you need to use your surge protector in very hot, cold, or wet conditions. If you commonly find yourself in these types of situations while traveling, looking for a weatherproof surge protector can be helpful. In fact, using a non-weatherpoof surge protector in intense weather situations is dangerous in some cases, so it’s always important to check to keep yourself safe. Many RV surge protectors have displays that will indicate various stats and metrics about the electrical system you are connected to. This is very helpful for safety and efficiency. Before purchasing an RV surge protector, look at the display to see how big it is, what information it displays, and how easy it is to read. Ideally, the display should use LED lights, so you can see the information during the day and at night. Many displays also have small colored lights that you can see from far away to determine if your systems are safe. A good display system will make it much easier to understand how your RV is using electricity and what sort of electrical threats you are facing. The Underwriter’s Laboratory seal implies that the surge protector has been tested by UL and that it is safe to use. UL is a trusted organization, so having the seal on your device implies that it is safe to use. Look for the UL seal on your devices to confirm that they have a good reputation. When you’re out on the road, the last thing you want to do is spend too much time trying to figure out how to install your surge protector. Ideally, your surge protector should be something you can just plug in with minimal installation. However, the more complex your surge protector is, the more likely you will be to have to spend more time on the setup. Look for an RV surge protector that is easy to use and set up, particularly if you don’t have much familiarity with electrical systems. Since RV surge protectors are typically somewhat of an investment, it’s helpful to look for a surge protector that comes with a warranty. This ensures that if there are any problems with your surge protector during the warranty period, you can get your money back and get a replacement product if needed. This will give you peace of mind when spending money on your surge protector. 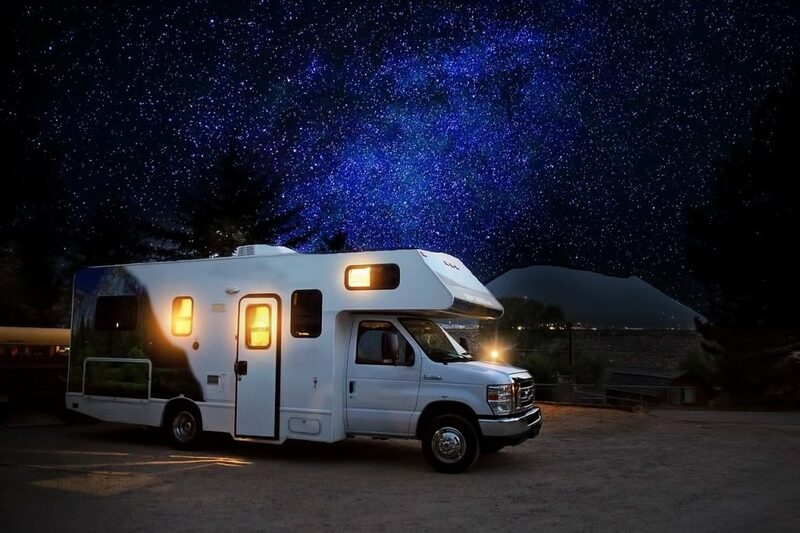 A surge protector is a must have for any RV owner who connects to various power sources while they’re on the road. Since you can’t control power sources at campgrounds or other locations, it’s important to have a surge protector to keep yourself safe and protect your devices from damage. The devices listed are some of the best quality options for preventing electrical damage while on the road. Many people may feel that they are unnecessary but when considering they can reduce damage to expensive devices such as a RV rooftop air conditioner, then its definitely a worthwhile investment.